Support maintains a loaner pool of computing and presentation equipment. 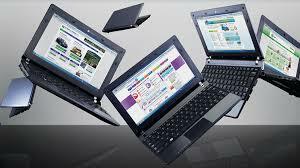 We have laptops, netbooks, projectors, digital cameras (still and video), various display adapters, network firewalls and more. All are available for short-term checkout (<7 days) by CSE faculty, staff, graduate students, and TA's. CLICK HERE to be redirected to the equip reservation web tool. Items may be picked up/returned at the Support office (rm 207) during business hours, 9am-5pm M-F. The first date/time in the range you specify in your reservation is the time you plan to pick up the equipment; the last date/time is the time you plan to return it. If your pickup/dropoff time is during our daily schedule, we will make every effort to ensure someone is in the office from 10 minutes before to after the pickup and dropoff times you have chosen, or we will notify you that items will need to be picked up or dropped off at different times. If you need to pick up or return the equipment at times different from those you originally specified, please let us know in an email. If you are unfamiliar with the operation of the projectors, a laptop or other equip., please allow time to go over questions with Support staff at time of check-out. You are responsible for making sure the equipment works in the environment in which you intend to use it. We of course cannot guarantee that everything will work as you want at your destination. We strive to keep portable equipment in stable working order, up-to-date in terms of software and OS patches, but because of often tight turn-around times we cannot always ensure that batteries have been charged (on portables). If you have concerns please allow for lead time in your reservation for testing. You are responsible for the safe and operational return of items borrowed from Support in a timely fashion. You will sign an itemized list of components for each item borrowed at the time of check-out. It is our routine to frequently wipe/reinstall the software image on loaner netbooks when they return following loan, but sometime they come and go so quick that we just don't get the chance to do that. That said, it would be recommended that a user delete ANY and ALL local data created during their time of use that they do not wish others to see. By the same token, be sure to save any data of importance to alternate media that one wishes to preserve. Exhaustive details about the innards of the equipment reservation tool can be delved here. The University has preferred vendor contracts with HP (via CDW-G) as well as special institutional pricing through Dell Premier. If you are a member of the CSE community, please contact support@cs for assistance with a desktop or server spec, or to find out if there is discounted pricing available for the hardware you're interested in. Several companies provide special deals to CSE students, faculty and staff for personal use. Special terms and conditions do apply! Apple Computer offers special discounts on selected hardware for personal purchase by CSE students, staff and faculty, as well as for departmental purchases. The items available at special discount change periodically. Discounted Apple hardware can be purchased from Apple or from the University Bookstore's Tech Center.